Here’s the worst situation one can come across. 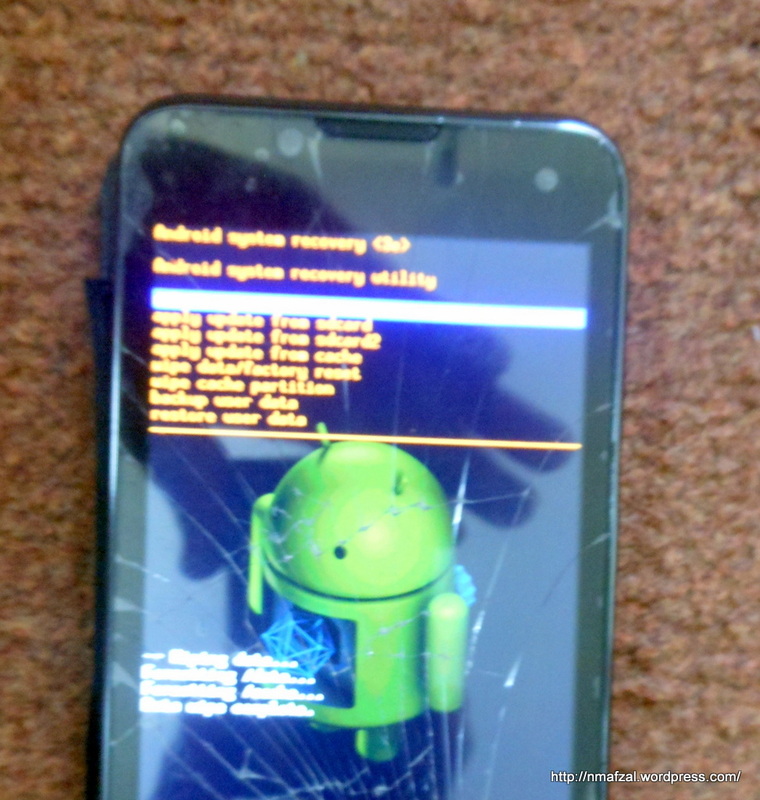 Your Q Mobile screen is broken, it isn’t working and you have to get it to the repair shop for a new touch-screen. But you need to reset the phone and wipe out all data. What to do? Even the front screen buttons aren’t working. The only thing working is the volume up/down keys and the power button. Fret not, just follow these steps. 1. Remove the Sim and MicroSD card. 2. Remove battery and wait for 30 seconds. 4. Press volume up button and power button. The phone will start with a dark screen in Recovery Mode, showing following options: (Post updated: I have had to update this post because of the numerous messages that I have received). You have to press the Volume Up (Volume +) button first and then while keeping it pressed with the other hand press the Power On button, both for about 15 seconds. After a slight Vibration the mobile phone will enter in to Recovery Mode. In some cases, you have to try this with Volume Down (Volume -) and the Power Button. 6. Using volume up down key select, “wipe data/factory reset” and press power button. 7. Another screen will show various options, again using volume up/down key select “delete all user data…yes” and press power button. 9. On the top you will see Reboot system now, select it and press power button. That’s it, your phone will restart and now you can send it for repairs. The power buttons stopped working on my Nexus S so i installed an application for using Volume button for Powering on the mobile. After two days my mobile got reset automatically and after that it keeps rebooting. Now I cannot go into Settings to do factory reset, nor I can use “power and Volume” buttons combination to root the mobile. I have important data in the built-in storage card which i want to recover. I think you should get the power buttons replaced. That’s the best thing to do. Other than this you can try to Sync it with a PC to recover the important data. That’s why its so important to take backup of data using apps like Titanium back up. My q mobile z4 screen is damaged. I want to transfer the data to my laptop before factory reset. I suggest go for a soft reset. If that doesn’t work try the hard reset. i have a qmobile a6.. and its display is not working.. the mobile still works.. and i can use it .. but i cant see any thing.,. touch screen is also working.. i can touch and open up apps.. the only thing is .. i cant see.. the screen is all blackish blue.. Please get it replaced from Q Mobile service center. That’s the best you can do. It doesn’t cost much. i have qmobile a60. it stopped working at Noir logo. how can i enter into the menu to reset it. Follow same procedure. Long press volume down key and power key together. Or try Volume up and power key. Remember it has to be a long press. A few days back I reset one of my friends A9, using the same procedure. Please try this: Press the volume down key, while keeping it pressed press the power key for 3 ~ 5 seconds. If this doesn’t work try same procedure with Volume up key. I don’t know how i did it. But volume up or down with power buttons on my Q mobile A8 did the trick. My mobile had become very slow. let’s see if it’s in previous state or not. Yes, its either the up or the down key with the power key. Q A50 ,after pressing volume up key and power bkey ,recovery screen is appear but power button did’nt select any option .what should i do??? It should. Does the volume up and down key move through the Menu? Try this, remove battery, wait for 5 seconds, re-insert battery and tray the same procedure. Hope this helps. Yes, please do this. 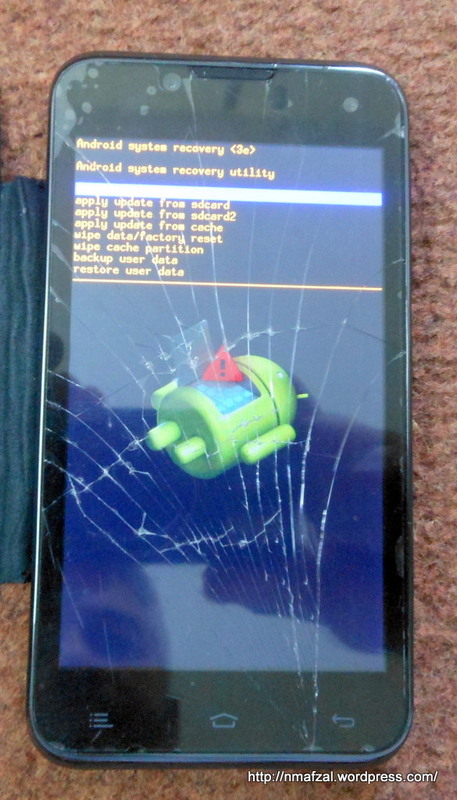 Hopefully it will hard reset the phone and get it to working condition. i have tried pressing the power key and down key but it gives these option instead of factory reset (item test)(full test)(pcba test) what should i do now???? I would say you follow the steps mentioned in the post. I have reset at least two Q Mobiles using this method. It works. You have to hold down both keys for a few seconds. should i do that while noir logo appears or start my phone while holding the keys????? i hv q mobile A50 … i hold both volume n power keys but recovery screen not appear plzzzzzzzzzzz help me ..
My qmobile noir a60 has got stuck. I have tried all key combinations but nothing happened. Have you tried the steps as mentioned in my post? Please try again after reading the post carefully. My noir a600 had got some lines at the bottom will qmobile service centre replace it genuinely? You mean scratches? I am not sure, but please ask them. If you bought a new cellphone and it came with scratches then they should replace it. But it all depends on them. But if the scratches were caused by misuse them I think they won’t. I have Q mobile A65 its Touch is not working. i follow all the steps given above but still touch is not working so, what can i do now. pls tell me. You should contact Q Mobile and get it repaired. If its in warranty then not a problem. Best wishes. mujh sa galti sa mra app play store del ho gia ha qmonile noir a65 ma…..kindly help me k ma is ko again kasya wapis lya kr ao…kyun k wo dobra install be ni ho rha ha……plzzzz urgent reply……kya cell ko reset krnay sa jo already cell ma apps hon to wapis a jati han kya????? Yes. But please back up your contacts on Google and SD Card before doing the reset. Walekum as Salam. If the set is still in warranty then there is no point in selling it off. I suggest you take it to the Q Mobile Service center and let them repair or replace it. But if it is not in warranty then you may sell it. Hope this helps. Thanks a lot for ur kind advice and precious time. I’ll go for claim & hope they will replace the set, but it seems difficult bcoz its an software issue anyways I’ll tell u what will happened in the claim centre……. mera Q mobile A700 noir logo py phans jata h mei ny factry reset bhi kia h lekin kch ni ho rha plz mjhe btao kia krn reply me fast…. Have you tried Factory reset? If it is in warranty take it to the Q Mobile center for repairs. If warranty has expired you can get it repaired. If nothing works, sell it. Okay. So I have a Qmobile A600 and I have dropped it a considerable amount of times but it would work fine. I hadn’t dropped it recently but for some reason, it has stopped working. When I turn it on, I only see the initial black screen that says ‘QMobile’ and nothing else. It just stays like that. I can’t do anything on the phone. I followed the steps you had mentioned. I pressed the volume keys (I tried with both) and the power button at the same time. The volume ‘up’ key didn’t work so I tried the volume ‘down’ key and all I got was an Android with a little caution sign on it or a warning sign. The one with an exclamation mark inside a triangle. I got no options for resetting. Please help me out. I want to send it for repairing but I absolutely must delete all of my data first. Need the phone to be totally clean before sending it. 1. Take out the Memory Card (External) and back it up on your PC/Laptop. Do not ever send it to the repair shop with your cell phone!!! 2. Follow the steps again in the sequence I have written it should work. P.S. You have to press the Volume Up (Volume +) button first and then while keeping it pressed with the other hand press the Power On button, both for about 15 seconds. After a slight Vibration the mobile phone will enter in to Recovery Mode. In some cases, you have to try this with Volume Down (Volume -) and the Power Button. You can set it lock automatically after a few seconds. But if it’s a new phone and under warranty please go to Q Mobile center and get it repaired or replaced. Best wishes. If even after getting it changed form company it is slow that means this model is slow, 1GHz with 256 MB RAM? . I have not used an A4 so do not know much about it. You can try doing it again. Or if that doesn’t work, go for a better model with better specs. Sorry, don’t know. Search the web please. i have q A65 but its screen touch is not working . just workig .power buttin and volume upband down plz tel me how i can.solve.to this problm? Please try resetting the phone as described in the post. Since your power and volume up/down buttons are working I think hard reset will solve the problem. But if this does not solve your problem please go to the Q Mobile service center. 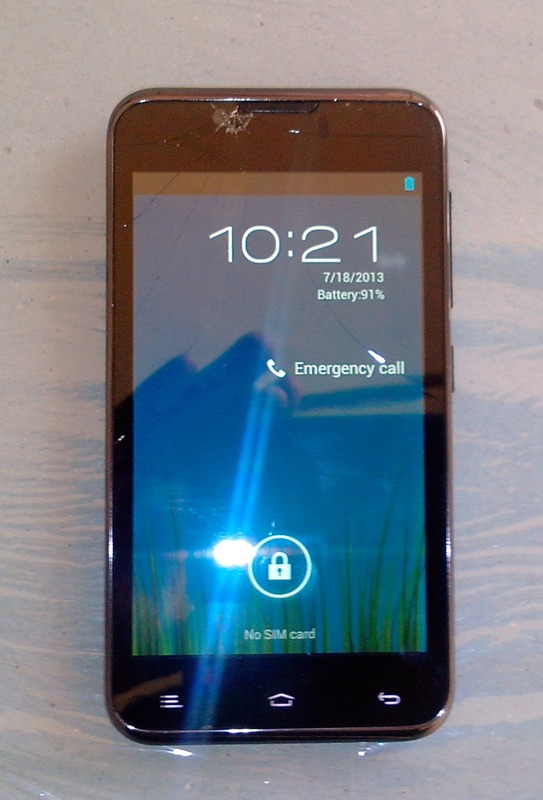 i have Qmobile A700, but i hangs at noir screen. In recovery mood power button does not select any option while volume buttons move through the screen. How can i reset the mobile? One more thing, it is rooted. I have experience in rooting a Noir Q Mobile. But I presume the problem is because of a rooted phone. Try hard reset after removing SD Card. when i press power button and volume (+) Button together the formatting menu come and after when i press volume (-) my cell phone off? You can try the procedure again. I am not sure what causes the phone to turn off or hang. I am sorry, I could not understand your question. HOW FACTORY RESET/WIPE QMOBILE A4 BOLT?????? i tried this procedure but a different screen appears,its a test screen in which you can test the phone features but there is no reset option there,how do i get this screen? Well you are getting the Android logo. What all options do you see? Not sure what is a power reset. If you mean Hard Reset then please follow the procedure described in the post. can u help me please ??? I do not have A600 therefore am unable to comment. But I have heard of this issue before. I am not sure which combination might be useful for this purpose, but it has to be the Power button. Can you please try pressing it for a longer time? Maybe this can work. my q mobile x6 … its touch some time work and some time dose not what will be the problem. Try same procedure please. It should work. Please anybody tell me how to find pin code ? to reset my Q Mobile A8 phone .. Its v urgent plz .. The Pin Code is the same code which you use to Log in to your phone. The security code. My q a65 mobile some time screen automatically White and power off plzz tell me solution. Not sure about the red icon. Is your set rooted? I am sorry I don’t have A50. But I think this procedure is generic for all phones. Can you enter in to recovery mode? 1. Back up data on Google sync and/or SD Card. 3. If problem persists go to Q Mobile service center. Yes you can get it replaced from Q Mobile service center. In fact that is exactly what I got done for my mobile. I think it cost me Rs. 2500. That’s too bad. I think you put it in trousers your back pocket. You can get it repaired for about Rs. 2500. 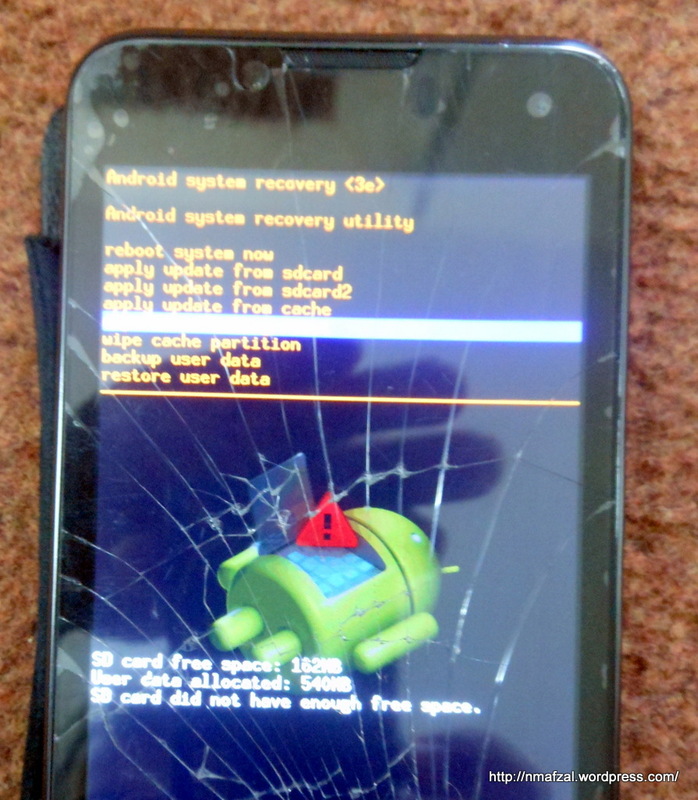 Do a Hard reset before getting it repaired. And please do contact the Q Mobile service center for details about pricing. Hello, I have qmobile Noir A9. One day suddenly screen automatically opens the different files (programmes) and i reboot it. But now 3 touch buttons on the bottom of the mobile are not working. whereas screen touch is normal. Please guide what to do? Back up data. Go for a hard reset. If this doesn’t solve your problem, contact Q Mobile service center. hi, I have a qmobile a15 and it is not rebooting, it gets stuck at noir logo. when i enter the reboot menu, i can select options using volume key but power key is not entering any option i select. can u help? Not sure dear. I would say you try again. That’s the way it is supposed to work. You mean audio while on phone? Check your phone volume, if its ok I suggest you contact Q Mobile service center. from where can i get them ??? 3. Go for a Hard Reset. BTW you can find so many launchers on Android Market, why not install them and give them a try? mere pass noir A65 hai…… leken pata nahi kiya huwa us ka camera aur gallery ka folder dono screen saye ghayab hoo gah hai.. If you mean from the main screen or the Apps? If it is still there in the Apps then you can create a new icon by long pressing it and dragging it to the desired location. can the backup option back up all the contacts? The easiest way to backup contacts is to sync it with your Google account. You can also back up contacts on your SD Card. But I am not sure if contacts from your SIM or Google account will be stored to memory card with the back up option. The back up option is for transferring all data in the phone to the SD Card. Thanks for any other informative website. Where else may I get that type of info written in such a perfect method? Hey I hv Qmobile A36 …. Backup your contacts and important data and do a hard reset. It will restore everything. It should work. I am surprised it is not working! Please try again. aoa.. My qmob A50 has got this problem.. sb options aa rahay hain lekin power button is not selecting the option.. Kindly help me out!! Looks like some problem with your Power button? Can you please try using the Home button? But I guess it may not work since it is a Soft button. I would suggest trying again. Thanks. Please go to settings and check your volume settings. Is it set to Vibrate only? In the extreme case I would recommend Hard Reset after backing up your contacts. Plz brother help me to solve this problem as soon as possible. One more thing warranty is left one month in this A600. Customers care center claims these sort of problems or not I will be repaired at own cost.??? Salam bro. I am not sure why it isn’t working in A600. This is the umpteenth time I am hearing this. And about Q Mobile, well I think if its in Warranty then they should repair it free of cost. I have Qmobile Z4, i have been facing some problem in handling of my phone since last few days. My display screen some times doesnt responds and sometimes it works properly. its on its own when to work and when to not. i have reset it to factory settings from the settings of the phone but that doesn’t help me either. does this recovery screen factory settings is any different from the option available in settings of the phone ?? and is there anyway to fix this problem at my own as i am abroad and cant go to Q mobile service centre. 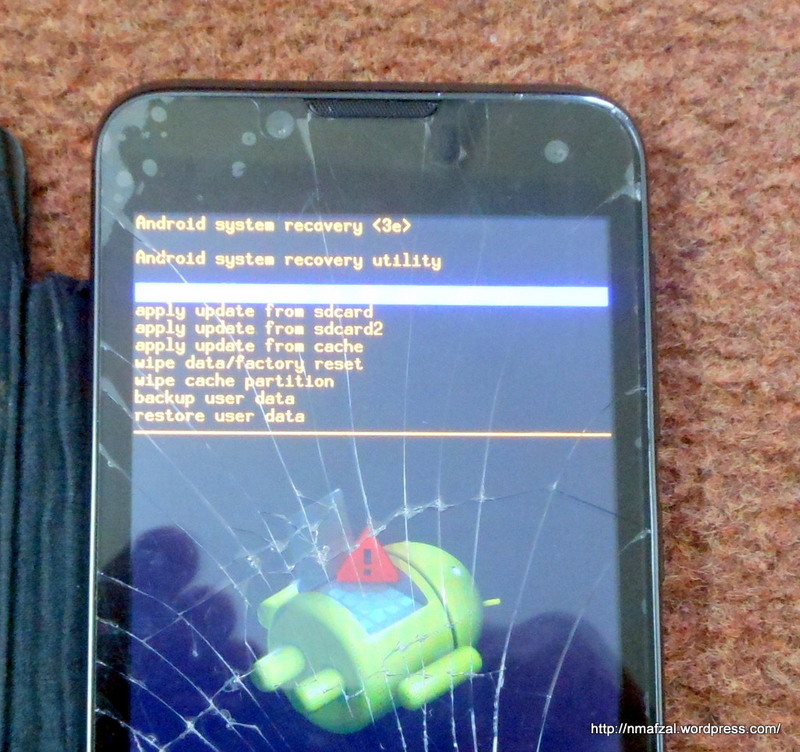 Hard reset is the same whether you do it from the menu or follow this procedure. I don’t know of a way to resolve this issue. I would say go for a reset and then update. To me it doesn’t seem like a software issue but no harm in trying as you have no choice. Noir A9 has 512 MB RAM. So it will be slow as more and more apps are added to it. You can download any memory cleaner app from Android Market and install it. It will help to some extent. Also you can try this, long press Menu button and all open apps will be displayed you can then choose to remove them from the RAM. Like I said, 512 MB RAM is a little too less. If you are comfortable using the set then get used to it, else go for a better one. Something like 1 GB should be fine. Actually I had the same problem with my Huawei G510, I got tired of it and changed it. My qmobile a600 was working perfectly. Last night, I was watching a video on uc browser, it stuck while playing video. I long pressed power but to restart but It didn’t work. So I removed the battery and put it back again . I tried to switch on my mobile but nothing happened. I repeated the same process 2-3 times but it was useless. I tried entering boot/ factory mode but nothing happened. It is not charging. Nothing is wrong with the charger. When it happened mobile was fully charge. The light/led which glows when we connect a charger is not glowing anymore. Only thing which is happening is that the flash light blinks for a moment when I re-insert the battery after removing it. I had a similar situation with my S4. Changing the battery solved my problem. in this set there is no memory card show nd also inernal memory..
enternal nd external memory both are not…. Go for a hard reset after making a backup of your contacts. Can you please try from the Menu? my mobile noir i9 restart during functioning whats the problm with it.it happens about 10 times in a day what can i do. Do a Hard Reset after backing up your data. If this does not solve your problem then take it to the service center. Get it repaired, seems like a OS related issue. This can be a network problem also. Call your operator helpline. i have q mobile a300 its camera is not working properly .what should i do? If hard reset doesn’t work then get it repaired. Are you sure the battery is in working condition? It is a soft button. Please get it checked from the service center. my htc desire hd was fully discharged, when I charged it and looked after sometime, a error was displaying on the screen that your mobile is drawing more current than required. then i removed the charger and switched on my mobile but it doesn’t only it vibrated for some time. then i charged my battery with universal charger and re-insert it to switch it on, but same thing happend. why it happens so? why it vibrates on pressing power button and then becomes dead? plz help! Could be an old battery. Using its original charger is a better idea. I guess the battery is old or some problem with the charger. Before going for a hard reset or anything check the parameters like SSID, password etc. If hard reset doesn’t work, get it repaired from Q Mobile service center. Dear friend. I have a q mobile a30 . I by mistake deleted all contacts from the phone. is there any way by which i can get it back. please help me as contacts were all very important. Did you back them up on SD Card or Google? If yes then its possible, otherwise I don’t think so. How to factory reset Qmobile i9 ? I have tried this on Q Mobile i10. Press Power and Volume Up simultaneously for two seconds until Q Mobile Logo appears. A few seconds later Android Logo will appear with Android lying down and some Chinese written under it in Red color. Now press, Power button and you will enter the factory reset mode. Follow the same procedure after that. Let me know if it works. What do you mean refresh? Do a hard reset. That should solve it. Asalaam aleikom. I have QMobile Noir A15 which seems to get stuck at the startup Noir screen. I have followed the steps above instructions to do factory reset and am able to get in to the recovery screen and use the volume key to get to wipe data option. To select that option you say to press the power button, unfortunately that doesn’t work, it just takes it back to the Android laying down with exclamation mark on its keypad. Do you have any suggestions on how to select the option if power button not working? Your help is greatly appreciated. P.S. I am in UK so taking it to dealer/place of purchase is not going to be an option for me. Saba, is the power button working? I mean under normal conditions? In some Q Mobile cellphones the Power button does not work. The A15 has Soft buttons on the front (lower) part of the screen. Make use of Menu key instead of the Power button. It should work. If that doesn’t work try the Center Soft key (Home). But I think it should work by pressing the Menu key. And please do share your experience. Asalaam aleikom. I have QMobile Noir A15 which seems to get stuck at the startup Noir screen. I have followed the steps above instructions to do factory reset and am able to get in to the recovery screen and use the volume key to get to wipe data option. To select that option you say to press the power button, unfortunately that doesn’t work, it just takes it back to the Android laying down with exclamation mark on its keypad (no command) n when I slect any of these options its jst show (no command) plz help me what I do.? Mere pas q mobile A300 He jab main mobile on krta hun to Noir pe a k Hang ho jata h ya. Use Kerty hue off.ho jata h main kya krun?? I hope the battery and charger is ok. Try a hard reset, if that doesn’t work, get it repaired. Asalaam aleikom. My apologies for not replying sooner. Thank you for your suggestions, unfortunately they have not worked either. With regards your question about the power button, that works to power up the device but not beyond that. Any other ideas would be welcomed. Already have done! ☺ Thanks again for your help! aur kia krun kuch samj nehi a rha? Plea try a Hard Reset. You do not need Touch screen working to do this. Not sure dear why the logo appears upside down. Please try again. assalamu alaikum. 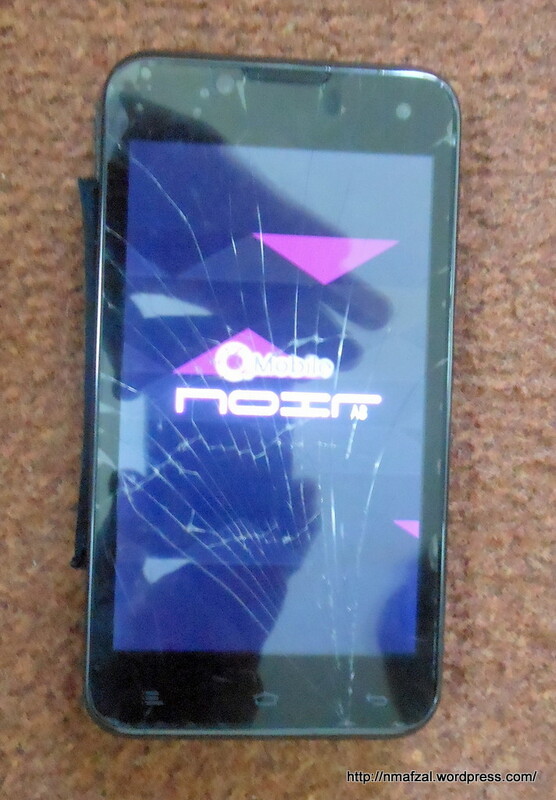 my q mobile noir i7 touch is broken but it is not available in market. even it is not available in hafeez centre. from where i can purchase it? I am surprised because Q Mobile has service centers all over the country. Have you checked it form them? I’ve learn several excellent stuff here. Certainly price bookmarking for revisiting. I wonder how a lot attempt you set to create one of these fantastic informative web site. Hi, I have A600 and by pressing volume up and power button together i am able to open recovery but unable to select any option, it does move up and down with volume keys but unable to select any option. tried with enter key and also with power button and it is not working… plz if you can suggest some solution. Not sure dear. Try again. My set is QMobile A300 is nice but now is very very slow how can formet???? Press Power botton and volume up.down for former but not working how can i do??? How QMobile A300 formet plzzzz tell me??? Reset krk b zada fark nhi parta hard reset kese hoga??? I have qmobile a300 and it stuck on boot loop. 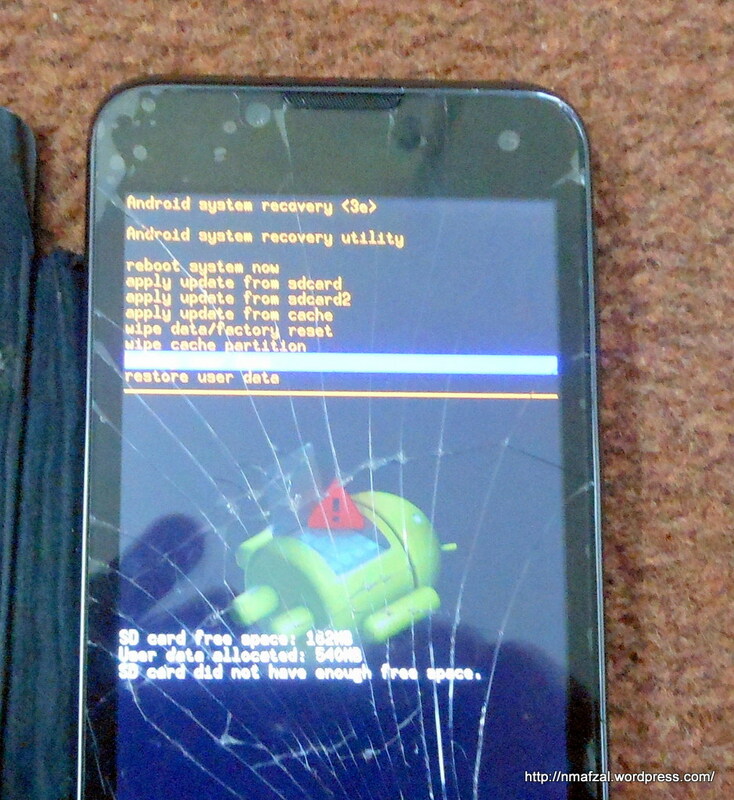 Itried to hard reset but still it doesn’t work. I live outside Pak and cannot go to claim warranty. PleSe tell me how can I restore oirignal stock rom using computer. Sorry I don’t know about the stock ROM thing. Please Google it. mairy qmobile i5 ka touch pani main girny say khrab ho gya hy kya ap mujhy bta sakty hain k ye mil jaay ga agr mily ga to kya ye sahe work kary ga or price kya ho ge? Bro plz help me .. i have a34 … its touch is not working well on the top but on the bottom its working like a charm.. mobile is fine.. nothing else ..just the wrong touch problem and screen is not broken… plz tell me steps to my email… or tell meif there is any risk if i factory reset this mobile…. Bro mery paas z4 hai qmobile meny usko rebot kiya tu wo aise mood pe a gya jaise uper pichers pr hein ab meny usy dobara sahi krna ha kaise karun means dobara screen a jyeee jaisa pehly thaa tu mein kia karun please help me iam very tensed or mera volume down wala button kharaab hai…. my android A65 hangs on NOIR logo, I’ve tried the factory reset , but it is useless… the device stops at the NOIR logo ! before this my device was showing the following message.. “unfortunately play store has stopped working”… please help! people send me sms and my QMobile a36 couldn’t receive it why?? Not sure dude. Did you check from your service provider? If its working fine then have you cell phone checked. Thanku You So Much NMAfzal….Am Use Ur procedure! in QA9 Then My Mobile Start The Working And Like a Dancing….Am Happy Now…Thank u So Much….. Please try again. This is the only way I know of. GO for a Hard Reset. Please try same procedure again. Thank u Sir . My phone is reset . working kindly tell me what i do? Not sure. Get a new one. i tried this on my Qmobile i9 .. aftr the very last step, my phone still didnot get started. it hangs up on the logo. what should be done? Not sure. Get it repaired. Dear mere pas qmobile z4 hai mene uay reset kia h to ab iska data conection auto pa on ho jata h ye problem kaisay solve hoga…????? i have qmobile i 10 jb sy liya ha us ka touch hard ha ….. any solution?????? Q mobile is like that. You get what you pay for 😀. I have Noir i5 When Using it turns off automatically plz help ? what should I do? Yes but for a price. 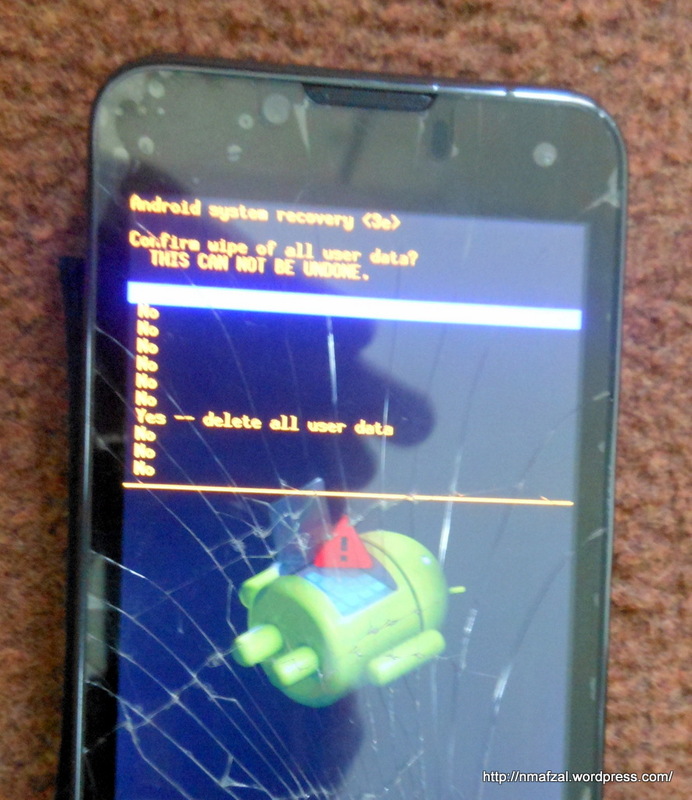 Hi … pls help intex aqua young hard reset no command pls help me….. I have q tab .i have delete main apps .Now when i power on the tablet it hangs on qtab logo and not open. salam . mer Z8 chlty chlty band ho gya hai . or us ki red warning light on ho gai hai . charge se utara hai . phir b ni bnd ho reh . or na he phn on ho rah hai . plz mjhy btaia kia masla hwa hai . or ya kua asa hang ho gya hai . me use kr rah tha charge par lga kar . to aik dam se 0 % ho gya or bnd ho gya tha . me kafi dafa try kia on krna ko par mi ho rah . kia yah thk ho jaye ga . kindly reply me fast . Please go to service center. I have a question regarding backing up and restoring data from samsung to a non samsung phone. Can I post it here? Get a bigger card. See if this one is really low on space or faulty. Thanks. If I use smart switch or samsung kies to backup my samsung phone data (like notes, contacts, sms, apps, s planner etc) to a PC, can I restore it to a non-samsung phone? sir mera q mobilehai mujy 1 month ka pechla data chaheay to ap koe code bta sakty hen? i have q mobile I5…. its touch system is not working from 2 days. what should i do? the moile itself is well ..